It feels like it's been a good while since I last put my Anastasia Beverly Hills Lavish Palette to proper use, so that's what I decided to reach for this afternoon. I didn't really know what to go for, and when in doubt I usually tend to stick with neutrals instead of sitting around staring at my makeup for what feels like forever trying to come up with a fancy colour combination... So this is what I have for you today. As I said in my previous post, I'm really loving the Collection Glam Crystals Dazzling Gel Liner's lately and I couldn't resist throwing a little bit of sparkle in. I remember hearing on one of Pixiwoo's YouTube videos that Leona's Lewis' makeup artist once used this exact liner on her when she performed on the X Factor a few years ago. It's always great to see celebrity makeup artists digging pharmacy brands, too. Hope everyone has been enjoying their weekend so far! Love the contrast of the colors, esp love the silver glitter! Gorgeous! 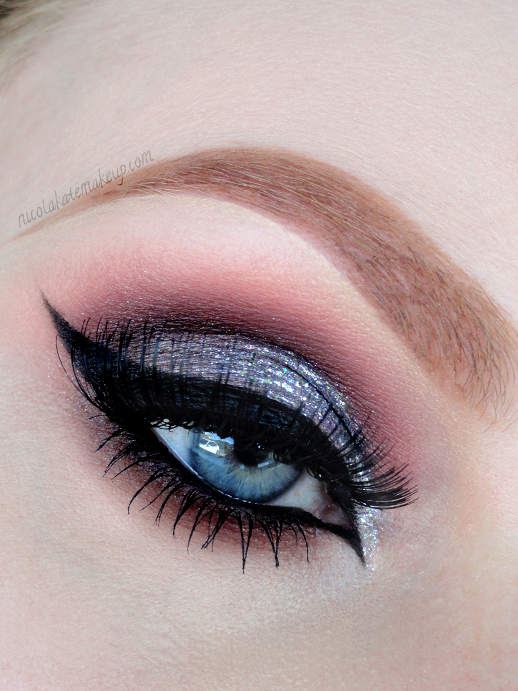 Love the contrasting colors between the lid and the crease!